The first word that comes to mind when I think about this question is Student. I’m a student, an academic, a professional learner for life. 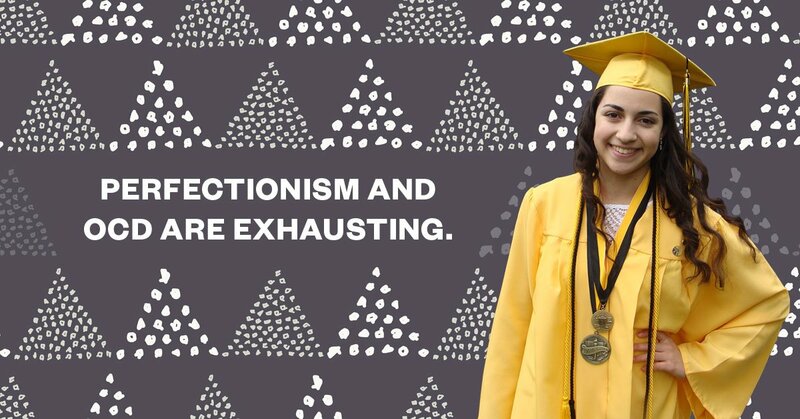 Thanks to a lifetime of perfectionism, from painting “perfectly” in kindergarten to being valedictorian in high school, my life is very centered on school. Sometimes several days will go by and I realize I hadn’t thought of anything besides school. What happens when one piece of your identity grows too large and starts to consume you? 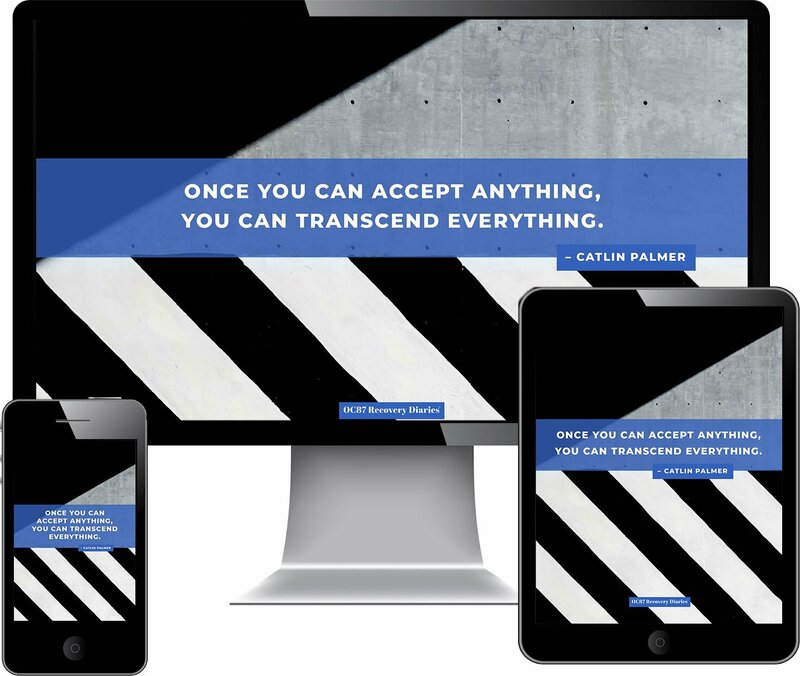 What happens when you become too zoomed in on excellence and it collapses onto itself? Obsessive-compulsive disorder and anxiety did this to me. That’s always what OCD does; it points an arrow at who or what you love most, and for me that was school. I was the kid who skipped through the school supply aisles. I was the kid who read a book through dinner. I love and have always loved learning. Perfect bait for OCD. It starts as a whisper, a little hint or suggestion to repeat a behavior. “Maybe you should reread that sentence again, just in case you missed something.” So I obliged, “Fine, just this once.” Then again louder, “Maybe you should reread that paragraph because you can’t miss any information.” I gave in, “I don’t really have time, but maybe you’re right.” Once more, “Reread again, no again, NO AGAIN, until it feels just right and you REALLY KNOW you read EVERYTHING and won’t FAIL.” “OKAY! I will! 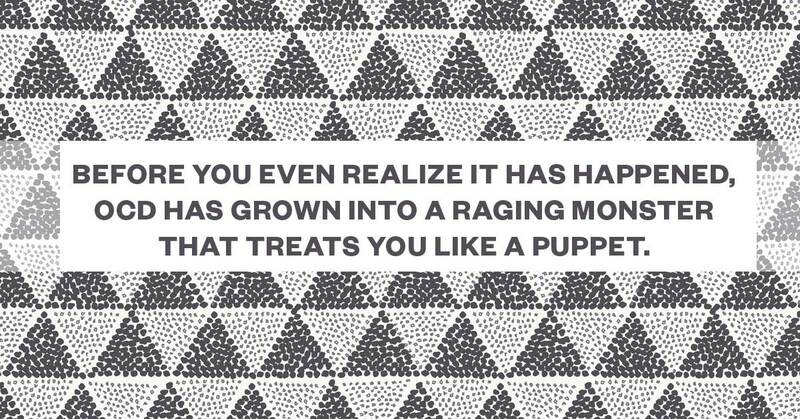 Just please take the anxiety away!” Before you even realize it has happened and have the chance to stop it, OCD has grown into a raging monster that treats you like a puppet. 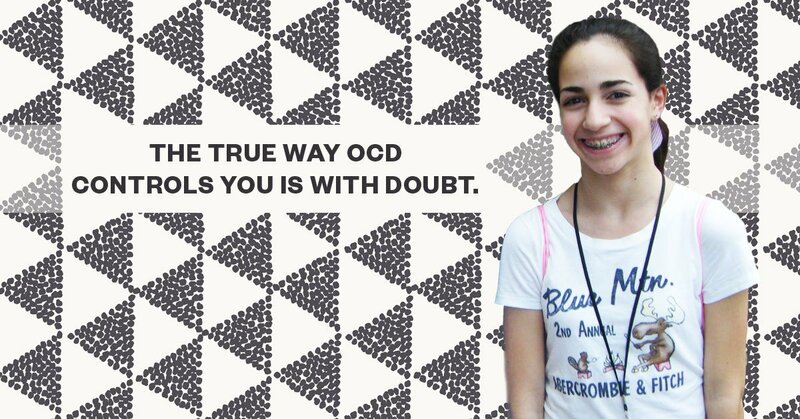 The true way OCD controls you is with doubt. You doubt your own actions, thoughts, even the page right in front of your eyes. Sometimes when I am taking an exam I’ll get stuck answering a question for several minutes because I can’t get myself to believe that I actually bubbled in the letter “C” on the answer sheet. Doubt and uncertainty: the archenemies of anxiety. How does society respond to these behaviors? How do we respond to the child that studies an extra hour or the child that does spellcheck one more time? Positively, of course! Perfectionism is reinforced the day we enter school. And it is not just the people around us who give out praise for doing well. It is also something we do to ourselves. My family never pushed me to get straight A’s, never punished me for a lower grade. I did it to myself. I became obsessed with A’s, 100s, stickers on the top of my homework. How could I not when it feels so good? But then again when something feels good that’s perfect bait for OCD. Pretty soon A’s no longer felt good, but just felt neutral. Anything less felt like outright failure. Throughout high school this mindset and lifestyle were stressful, but somehow manageable. I accepted studying all day and barely sleeping because the A’s were worth it to me. That was my life and I didn’t know any different, so I just pushed through. This mindset, however, did not work in college. The added pressure of harder classes and being away from home was perfect nourishment for OCD. 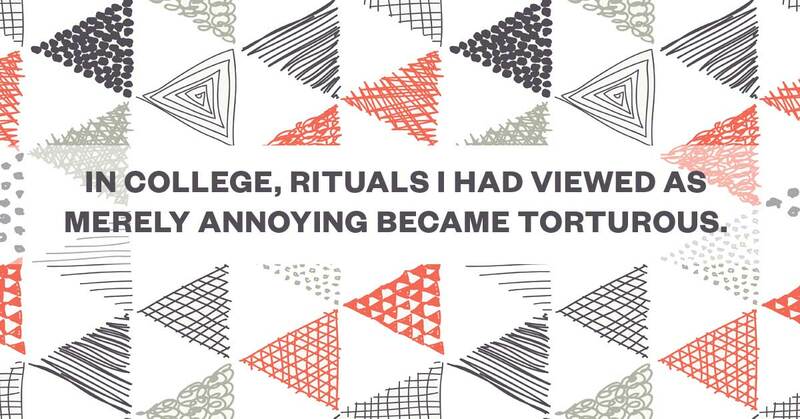 Rituals I had viewed as merely annoying became torturous. A few rituals a day grew to a few hours of rituals a day. I spent hours ruminating about how to prevent my dorm from catching on fire. I spent hours checking that I set my alarm clock because I couldn’t bear to miss classes. I even spent hours slowly reading and rereading every sentence of books, underlining almost every word, to make sure I had really understood every detail. Yet I somehow finished freshman year with another round of perfect grades. On the positive side, something good came out of this. Because of the increased severity of my symptoms I finally told someone about my fears and got diagnosed with OCD. Over the summer I began exposure and response prevention therapy, or ERP, a type of cognitive-behavioral therapy for OCD that involves gradually facing your fears and sitting with the anxiety without doing any rituals. Some exposures I did were setting my alarm clock without checking it, or wearing colors my OCD considered “dangerous.” Exposures are intentionally very stressful and tough to do, but they get easier with repetition and you continue to take on harder exposures. I was able to see some improvement. Then I went back to school and repeated, for the most part, the same process for another year. No big surprise here but it didn’t work, again. I was seeing a therapist about once a week to work on ERP, but there simply weren’t enough hours in the day for everything. I couldn’t fit classes, homework, activities, rituals, exposures, and sleep into 24 hours. After two years of barely treated OCD + college not working I did not want to face a third year of the same torture. The summer before my junior year I decided to take a semester off from school. I flew myself to a residential OCD treatment center and lived there for nine weeks. This treatment involved four hours of ERP and two psychoeducation groups a day, plus meeting with my therapist three times a week. I spent my time facing some of my most deeply ingrained fears along with working on perfectionism, expressing emotions, and trusting others. If you had asked me at my high school graduation if I ever expected to have to take time off from school, I probably would have said “no.” But I also don’t think I would have been surprised to hear that it did lead to this. Perfectionism and OCD are exhausting, and at eighteen was well on my way to cracking. 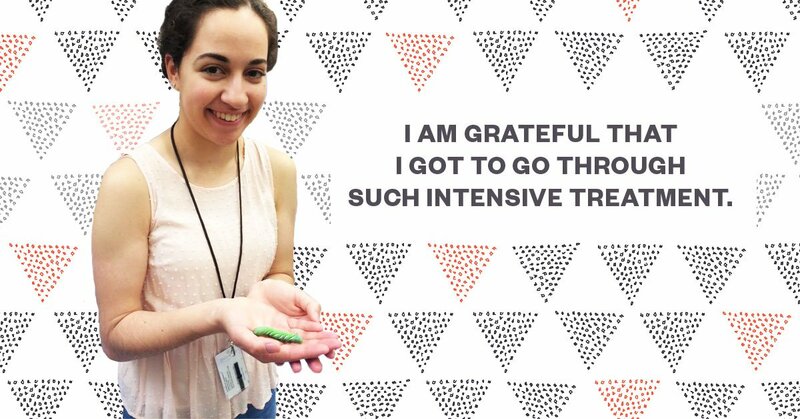 I am very grateful that I had this opportunity to go through such intensive treatment and to have the wonderful support network of my family and friends. I can see improvement in how much time I spend on rituals and how I respond to triggers, though there is still a lot of work left to be done. It’s not always easy, but I try to stay positive and focus on what I have achieved, rather than focusing on which fears and rituals are still an issue. In particular, my ability to read without rereading has improved and I am very proud of myself for working so hard on this. I hope the improvement I made with reading will make school easier next semester. Yes, being away from school conflicts with my values, but I was far from living a value-based life when I was last at school. The only way I can return to my value of education and all of my other values, such as family, community, and art is by continuing to face my problems head on and taking the time to work on them. This won’t be a quick change, but I think I am getting there. Morgan at an OCD conference discussing her thoughts on Exposure. Now that I’m back home, I’m continuing to work with a therapist to maintain the gains I made. We will also face other fears with more ERP and continue working on emotional regulation and my mood. Right now I’m working hard on my obsessions relating to productivity and rituals that involve list-making, among other things. On my own time I’ve also made sure to spend time with family and friends, to do activities I enjoy like dancing and knitting, and to get enough sleep! Previously, perfectionism about school or other rituals from OCD took all of my time and these activities were rarely an option. I learned more about the importance of these behaviors at the treatment center so I am trying to keep practicing the habit of doing them, before I head back to school and will be tempted again to put all of my time toward homework. All of these behaviors together don’t make me “perfectly better,” but they certainly help things get better rather than worse. They are part of living a value-based life that pursues several of my values, not just school. So who am I? What do I believe? I believe it is okay to have goals for yourself. It is okay to have high standards and to set your goals even higher. It is also okay, and inevitable, to be imperfect.